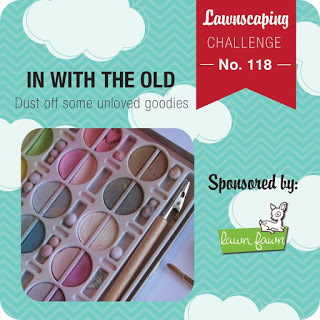 Today I'm playing along with a challenge for the first time...The Lawnscaping Challenge! I picked up this adorable stamp set called Toboggan Together by Lawn Fawn and I can't get over how cute it is! I love reindeer and penguins and so this set had my name all over it! 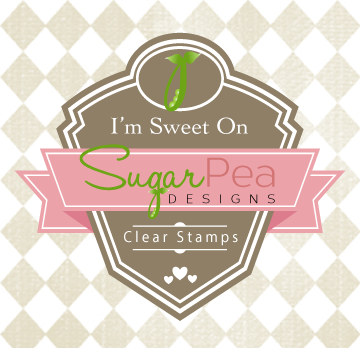 I used a die by MFT to create my shaker card top and perfectly placed sentiment! Lots of sequins in there seperated with a sweet polka dot sheer ribbon and bow with a Santa hat brad! 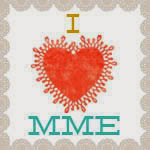 I added shimmer with Stickles to the snowflakes stamped in the shaker card and topped off a few sequins with it too! 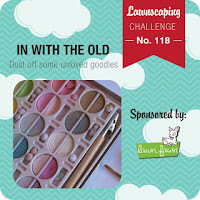 Here's the graphic for the Lawnscaping Challenge...you have to use something you haven't used for a while. Well, since I haven't been here for a few months, everything is my "in with the old"...especially the Santa hat brad! Thanks for stopping by today and I hope you have a great holiday! I love shaker cards and I love penguins so this is a perfect combo! This is a great layout and design too and such a fun card.